The body needs to flush out toxins to ease the bloated look around your tummy where the cucumber seeds come in. 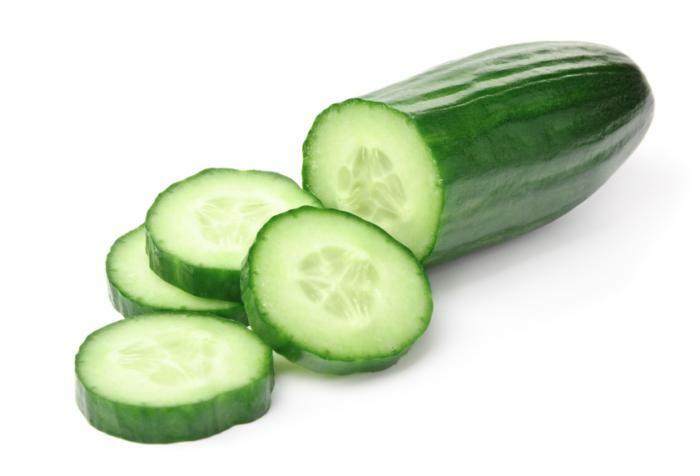 Cucumbers act as a water pill and helps flush out excess water and toxins and helps pass urine easily. It also helps in tightening your stomach muscles and help in reduce bloating. Indigestion of food or constipation leads to bloating up of the stomach. Cucumber helps in curing these both cucumber is rich in fiber content and high water content. A diet which is which is plenty with raw cucumber helps in cleaning of the gut and constipation. Gastric ulcers cause terrible bloating in the stomach area. Cucumber is a lenitive which means it can cure stomach lining and irritations and can calm infections and pains. Henceforth the reason unary doctors use cucumbers in their medicine to cure and heal gastric ulcers. The fat and weight loss depends on the fat intake and not necessary over calories. Cucumbers have low calories and zero fat in them. Cucumber is also a good choice for one craving for snacks during the day time. Cucumber improves cholesterol levels by decreasing triglycerides and lowering total cholesterol. According to an animal study, it is found that cucumber extracts brought down cholesterol by 29 percent in the following test subjects; Plus, triglycerides by 72 percent and LDL ("bad") cholesterol dropped by 86 percent.Its splendid. The ethanol extract from cucumbers also reduce blood glucose levels. The researches connected the antihyperglycemic to saponins and cholesterol-lowering effects to flavonoids in the cucumber. Belly fat has been considered to increased risk of diabetes.checking your sugar levels might help to lower your risk.